Today's carpet is stain-resistant, comfortable, and stylish. Many carpets can withstand stains, pets, and regular foot traffic. 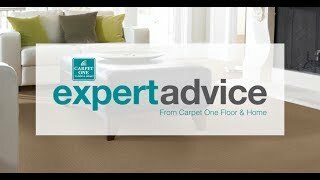 Let our experts help you in selecting the right carpet for your lifestyle. We have decades of experience in the flooring industry, and as a locally-owned store, we know what Amherst locals are looking for. Here at Warren's Carpet One Floor & Home in Amherst, NY, we are experts in all things flooring. Our large selection of carpets features all colors, patterns, and textures. We carry name brand flooring as well as Carpet One exclusive brands. Let our flooring professionals assist you in finding the perfect carpet within your budget. We proudly Amherst, Greater Buffalo Area, Erie County, Niagra County and Tonawanda. Carpet has come a long way over the years in terms of style and durability. We offer several different carpet options ranging in style, color, type, and fiber. Popular carpet fibers include wool, nylon, and polyester. Synthetic fibers can be made to be stain resistant, super soft, and ultra-strong. Wool is a natural fiber that is allergy-friendly, comfortable, and fashionable. There are five main types of carpets: level loop, patterned, textured, frieze, and plush. We know that your pets are as much a part of your family as your in-laws are. There is no reason to sacrifice comfort for performance when you can have both. Our exclusive carpet brands such as Relax, it’s… Lees and Tigressá are specifically made with pets in mind. They feature the ultimate stain resistance and can easily be cleaned. Our H2O™ technology found in our line of Tigressá carpets features a waterproof backing that stops pet accidents from reaching your subfloor. This prevents the growth of mold, mildew, and odor causing bacteria. Where Can I Install Carpet? Carpets are comfortable, stylish, and durable so you can install them in bedrooms, dens, or you can even install them in living rooms as well. Our stain, wear and fade resistant carpets can be installed in places around your home that experience a lot of traffic like stairs, hallways, and even children’s playrooms and basements. Not only do we provide the carpeting for your home, we also provide additional services to give you an overall experience. We'll help you sort through the different carpet options, compare important features and styles, and we'll even come to you for an in-home consultation. Our flooring professionals will see you through your project start to finish. When you shop with us at Warren's Carpet One Floor & Home, you will find the best products, kind flooring consultants, and professional carpet installation. We carry popular name brands you love in addition to Carpet One exclusive brands such as Lees, Tigressa, and Innovia. Carpet fading is normal, but there are ways to prevent it. Learn how to keep your carpet vibrant. Carpet styles are endless. It's important to find a carpet that will compliment your decor and color scheme. Carpets are made to be durable and stain resistant, but that does not mean you do not have to take care of them. Follow the link below to learn about some carpet care tips.